When I was an exchange student at Janus Pannonius University in Pecs long ago, we were required to take a class called Post-Stalinist Literature and, as a pre-requisite, Stalinist-Era Literature. I vividly remember struggling with a few short stories that made no sense. They were circular and obtuse–the opposite, I felt, of good writing. My fellow exchange students complained also. Why doesn’t this writer just come out and say what he means? Because he didn’t want his family to be killed. Because he didn’t want to be sent to Siberia. And so we began to appreciate the Eastern Block writers of Cold War era; I was born at the tail end. Ronald Reagan. Margaret Thatcher. Checkpoint Charlie. God knows, it’s hard enough to write a good story when you’re NOT being censored. But to produce work that informs, entertains, and protests, in such a way that you can safely speak truth to power but yet deny having said it…Wow. That’s damned hard. They were brave, those writers. Do you know what Nikita Kruschev said after the 1956 Hungarian uprising, which failed to get the needed support from the USA (I’m so sorry, Hungary!) and was crushed by Soviet tanks? Kruschev said, “If 5 or so Hungarian writers had been shot at the right moment in 1956, there would have been no revolution. When I came across a compilation of short stories from the Eastern Block, translated into English (hard to find)–I was delighted to discover this story, PETITION, one of the few I still remember from 20 years ago. The conceit is wonderfully witty; it does two things simultaneously. It records the events of the Communist era in Hungary while showing the tediousness of the endless bureaucratic red tape. The whole story is told in the form of an application to leave the narrator’s present place of residence (a heavenly-type waiting room?) and journey to Hungary to experience a human life. The parallels with Hungarians applying to leave the country and being repeatedly turned down is unmistakable. A) I should like to be born on December 9, 1909 in Budapest. B) I should like my mother to be Regina Fekete (housewife) and my father to be Miksa Tabori (traveling salesman). I request 61 years 6 months 3 days 2 minutes and 17 seconds. (Note: I have submitted similar request to the proper authorities on a number of occasions–eg. in 80 BC, and more recently in 1241, 1514, 1526, 1711, 1840–but on each occasion, due to lack of space, my request was turned down. This my seventh request,. 61 years is not a long time; were I to succeed in gaining your favor, sirs, in this matter, I would certainly try and make the best of my brief sojourn. Also in this volume I discovered the preface to the Revised Edition of Peter Esterhazy’s biography of his famous father, a former nobleman. It was a bit weird, presented by itself, but why was it revised? Because Mr. Esterhazy had since made a shocking discovery about his dad. It’s the back of a fat officers head. I can’t do Cyrillic letters here, but it says Tovarish Konetz! An aristocrat of the old school, Count Esterhazy was beloved by his son. After his death, and the fall of the Berlin Wall, Peter began to wonder if the secret police had kept files on the family. What did his record say? What about his parents? No-one in the Esterhazy family had known Count Esterhazy was working for the secret police. Was he blackmailed into doing it? Threatened? Did he participate willingly? How far did he go? It is estimated that 1 out of every 2 East Germans spied on their neighbors, friends, coworkers, and family for the Stasi. The movie The Lives of Others is one I would highly recommend if you’re interested in this subject. Stay tuned for more Hungarian rhapsodies–I loved Hungary as an exchange student and hope to find more of its literature in translation. Unfortunately, I speak Hungarian only at a medium level–not enough to translate myself. I loved the premise of this book! 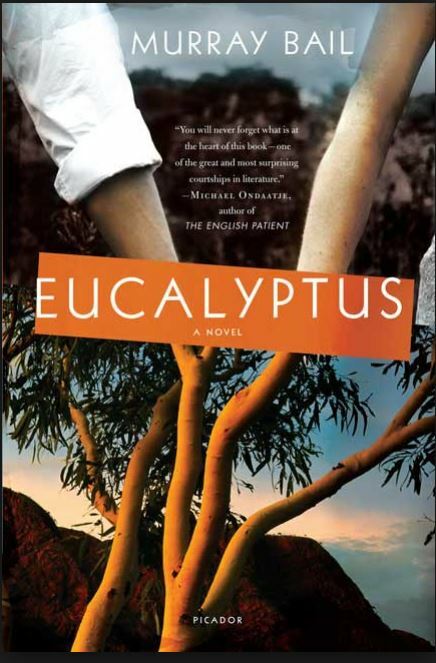 A recluse in the Australian outback has planted every kind of Eucalypt known to man on his property (over 500 different types of trees). He decides that no man can marry his daughter unless he can name each and every tree. Lots of men try, and lots of men fail. Out of nowhere comes Mr. Cave, a man much older than Ellen, the daughter. She lives in terror of him naming all the trees, because in the meantime, a much more age-appropriate suitor has been wooing her out beneath the sky…but he isn’t making any effort to name the trees, just to get to know…HER. I wasn’t expecting the magical realism, like when a peeping Tom who is spying on a Greek waitress as she undresses for bed gets turned into a telephone pole. That was cool. I did get a bit impatient with the story though, because the heroine is SO damned passive. Yes, it was set in the 1800s, but I like feisty heroines. Ellen just sits around moaning and bewailing her fate without ever lifting a finger to save herself. In the end, to avoid the victorious Mr. Cave, she takes to her bed. She is rescued by her suitor, but through no effort of her own. That didn’t sit well with me. The other thing that bothered me about this book, which garnered such high praise from Michael Ondaatje, The New Yorker and The Washington Post, is that in certain bits, the narrator starts pontificating about women. “Women do this…do that…feel this way…” Such sweeping generalizations are very dangerous. All it takes is for one woman to disagree and say, “Wait a minute, I don’t feel that way…that’s not true…” And your trust in and bond with the author is broken. 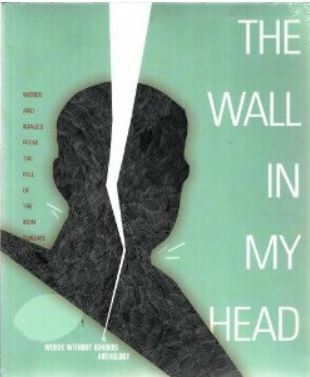 I want authors to have a deep understanding of human nature, but this narrator says that “Women” who go to the hairdresser and get made glamorous are never pleased with the result because they know that it’s all fake and put on, and that it isn’t really them, and underneath they are still ugly. I described this experience to my book group when I got back (Love you, girls!) and they said: It sounds like the author isn’t married and has no sisters and is just winging it. They also thought that the AUTHOR was from the 1800s from how I described his portrayal of women in the book…but actually, I believe he is contemporary. HMMM. I enjoyed many parts of the book; others bored me; a few irritated me. I felt it ended a bit abruptly. However, I’m glad I read it. It definitely was different…he is a gifted storyteller. He just needs a writer’s group with at least one girl in it. So much has happened this July/August! First, I got a cold that lasted about 16 days. It cleared up two days before I left for San Jose on vacation. I took my big fat copy of the Swiss Family Robinson with me on the plane. I was just about the only one there with an actual book instead of a Kindle, and you know what? The plane windows were all open, the sunlight was bright, and those guys with their Nooks couldn’t read their books because they couldn’t see the screens! I, on the other hand, plunged right in to the 565 pages of what I was SURE would be tasty reminiscent goodness. No waiting until I could turn my “device” back on, either! Because I’m interested in historical context, I kept trying to puzzle out where in the world the book was supposed to take place. It starts out with a Swiss family that is going to be “colonists” somewhere in “the East Indies”. There is a shipwreck and they’re the only human survivors. “Sea-cows” which MAY be manatees? and a whole host of other animals I have now forgotten. It just kept getting more and more preposterous and unbelievable to me to the point where I was laughing when another animal was introduced. I was a bothered by the idea that the Swiss author, a Protestant minister, may have just made the whole thing up and populated his fictitious island with whatever “exotic” animals he fancied. I was discussing this with a librarian and they were kind of like “it’s fiction–get over it.” And I couldn’t figure out WHY it bugged me so much. The more I think about it, the more I think that the reason I want the island to be real, and historically accurate, is that THAT lends another level of depth to the reading experience. Layers. Because honestly, the straightforward story is a bit…boring. It’s all about how they build things from scratch and there are some sermons from the dad. I realized that I read fiction with one eye on the story and one on the context. What does the way the story is written tell me about the attitudes, prejudices, certainties, and knowledge of the Swiss in 1812? What did they know about the rest of the world and when did they know it? Why do they call the inhabitants they might run into (but never do) “savages”? They have some familiarity with Englishmen–what is the difference in the national personalities? Where is the author coming from? Why does he think self-sufficiency is so important? What is his attitude toward colonization? I want to really have the experience a Swiss colonist would have in 1812 on a real island in the South Pacific, one that doesn’t have North American animals like eagles flying around. And in 1812, he would have had access to the knowledge of the British Royal Geographical Society…Captain Cook had been exploring around…maybe even Commodore Perry and David Livingstone, so no excuse for ignorance. 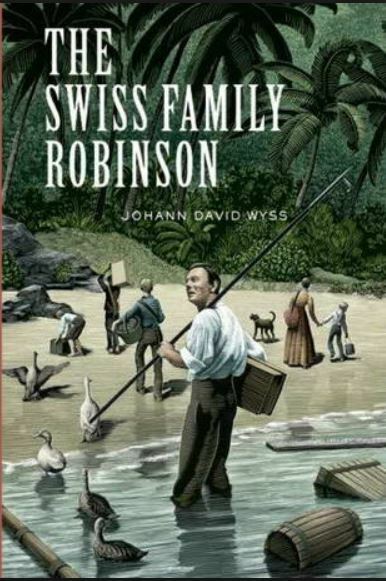 I was dying to read The Swiss Family Robinson because I so loved the movie as a little girl. * I must say, I found the book disappointing. I’m an animal lover and I hated the way they slaughtered almost every animal they came across or made them do their bidding. The island had plenty of other food on it, but they seemed to have that dreadful attitude that animals were put here for us to use however we want–that they have no independent lives or rights. That sucked. Also, they were so prepared for attack with their cannon and explosives and boats and I was all prepared for a pirate attack or at least some hostile Malaysians–but that never came. I also felt the book was setting you up for a romance between one of the boys and the English girl they rescue on the island…but that also came to nothing. This book, published in 1812, was based on Daniel Defoe’s 1712, Robinson Crusoe, which I’ve never read. If you have, drop me a line. I’d love to compare! *The movie meant so much to me because I grew up in a small Idaho town without a movie theater. For my birthday when I was 10, 11, and 12, my mom drove six or eight giggling little girls 30 miles each way to the movie theater in our county seat, where there was just one movie playing…and every year, it was…guess what. 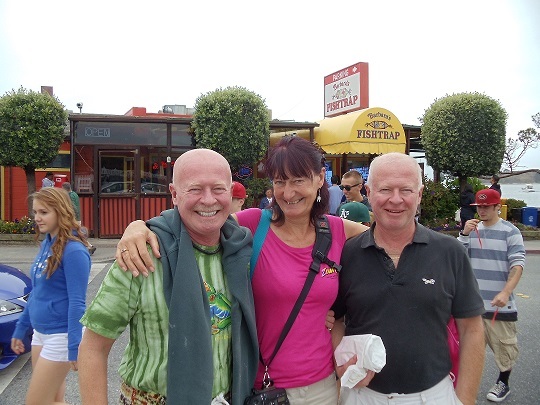 My partners in crime in San Jose!